Man I hate the sign war stuff. But if you do not have the name recognition of the other candidates it is a cheap way to get the name out. I had nearly 300 signs out there and was still trampled by Bonnie. It is just part of that process. I was uncomfortable asking, but I had to get them out there. When I belonged to the HCDCC I was given a list of people to contact so it was less hassle. Bonnie had signs up on most of those houses this race. 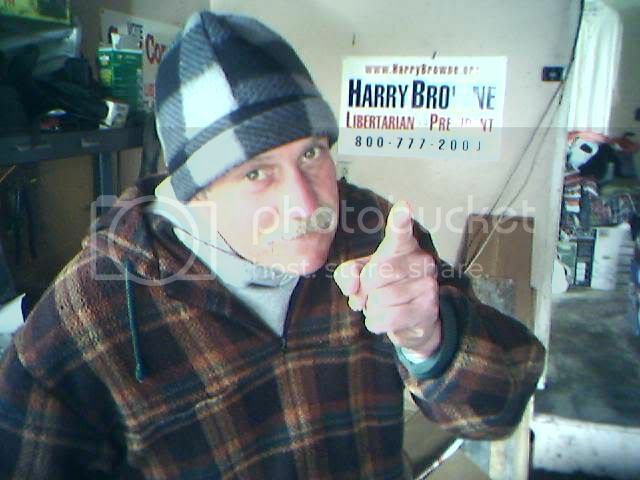 Just for the record....Fred wouldn't let me put up a sign in his yard regardless of my shameless begging on his Blog. I think there is some rule in Eureka about how long before the election you can put out signs, not that it is enforced. Seem to remember something from the Gallegos recall period. FYI, the Mike Jones campaign consciously decided not to put signs up before Labor Day. All campaign signs get too old, too quick and tend to get on people's nerves. I saw a LeVallee sign on C street yesterday, and noticed plenty of Neely and Fleming signs all around town. I espect they'll pop up all over the place after Labor Day. Richard wrote, "Just for the record....Fred wouldn't let me put up a sign in his yard regardless of my shameless begging on his Blog.". Rich, sorry, but don't you think it would be a bit silly for me to have the sign of a candidate that supported Measure T next to a NO On T sign? Chris wrote, "All campaign signs get too old, too quick and tend to get on people's nerves.". Agreed, which is I wait a while until I put mine up. Kudos to Mike Jones for waiting until after Labor Day to put his signs up. I guess kudos to me, too, for doing the same thing, although Labor Day never entered my mind. Not a bad general rule for placing signs out, though: From Labor Day on. So let's all vote for Mike Jones? Because his signs aren't up yet? Or because his campaign made a conscious decision? I just wonder how many votes are actually obtained due to a barrage of signs. Doesn't say much for the hope of the species if it's a significant number. I think Mike Jones showing he is making a conscious decision says something. Eric wrote, "I just wonder how many votes are actually obtained due to a barrage of signs.". Hard to say, but I'm not sure that signs matter all that much, at least in some respects. I brought up here a year or two ago, when we were discussing the same thing, that Jeff Smith, running for Eureka City Council in a three way race, seemed to have a hell of a lot of signs out. It seemed he had the most of the three candidates, from what I could see. He came in third in the three way race. There are still Dikeman signs up on Old Arcata Rd. richard is right... its not about how much signs help you. its about how the lack of signs hurt a campaign. I remember a James Faulk Bully Pulpit column calling yard signs the "detritus" of the campaign season. Couldn't agree more. is there anything else we should know about how james faulk agrees with himself?